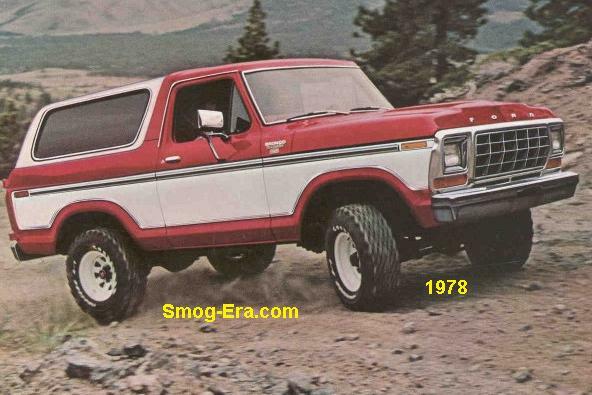 The Ford Ranger was a top trim package of the big pickups and even the later Broncos until 1982. At minimum, the package added cloth and more padding to the seats, as well as extra brightwork throughout. Two sub-levels of trim were also available during this era. 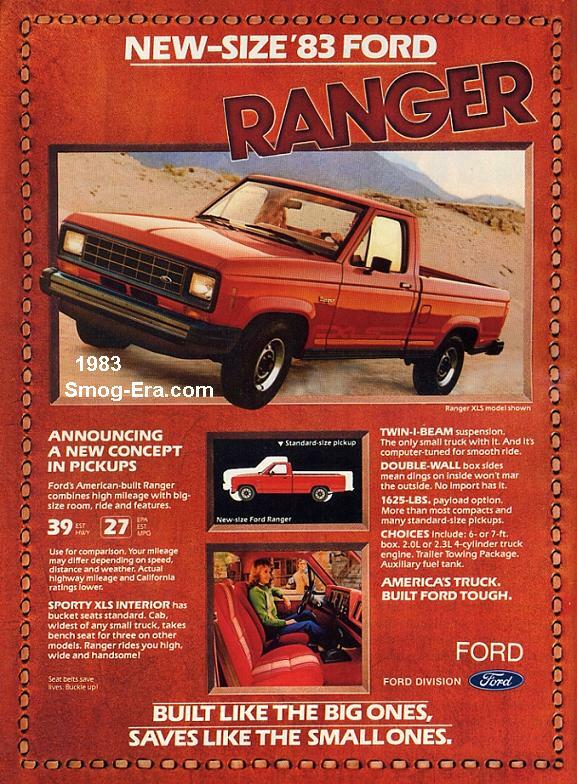 These were Ranger XLT, and Ranger Lariat. 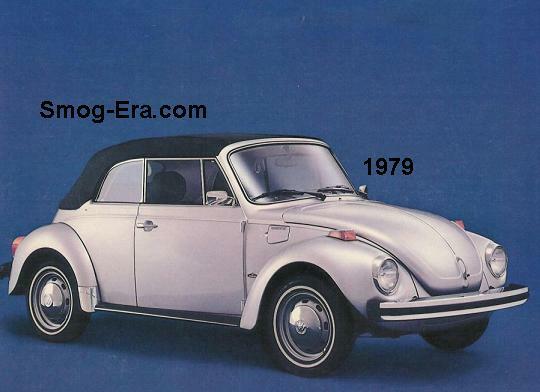 The 1973-1977s had the same basic look. Updated for 1978-1979, these two years shared an appearance as well.. The 1980-1982s were updated to a more modern look yet. 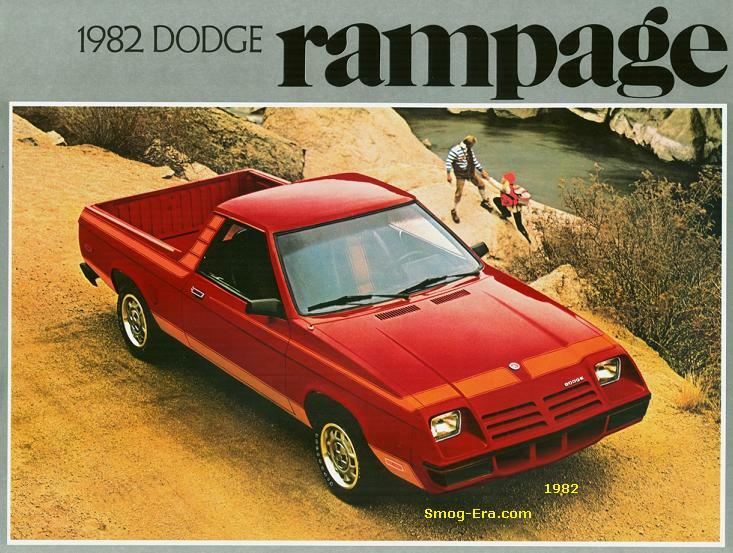 The ‘real’ Ford Ranger, as its own official model, was marketed starting as a 1983 model year vehicle. 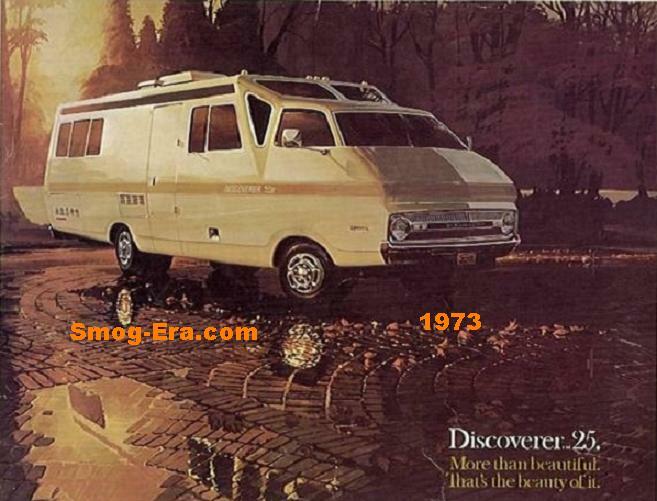 It was a direct replacement for the now-discontinued Ford Courier. 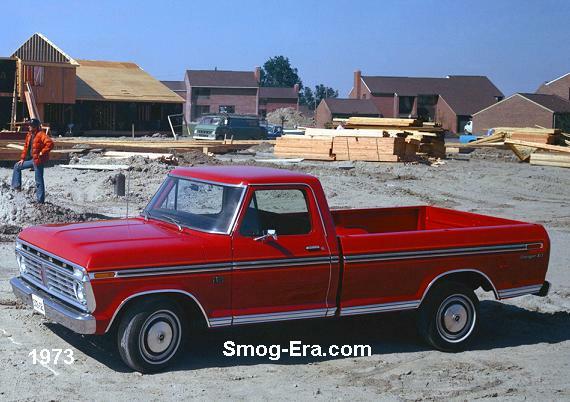 Ford needed an American-built compact truck as an answer to already Chevy’s one year old S10, as well as the GMC S15. 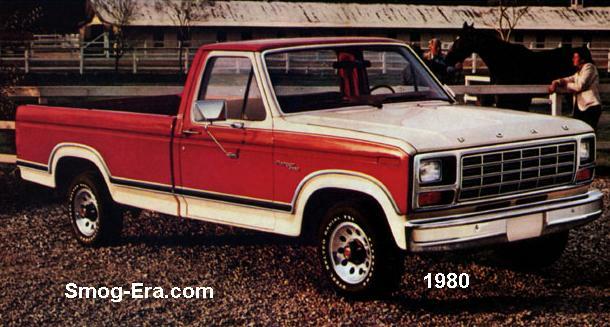 Body styles were as follows… Standard cab/short bed, standard cab/long bed, and finally, extended cab/short bed. Base, XLS and XLT were the trim levels. Relatively, there was a wide variety of engines available for Ford’s new compact truck. 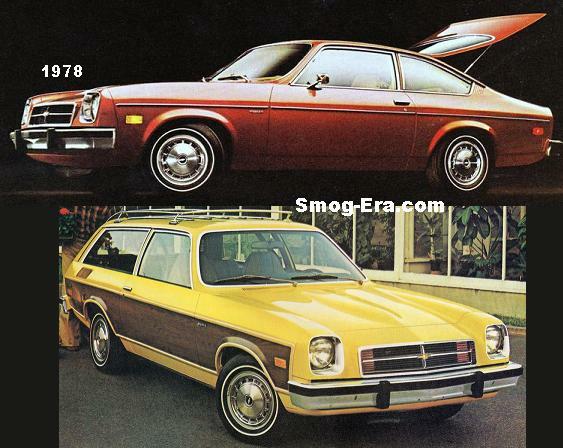 Standard was a 2.0L SOHC 1bbl I4 making 73hp and 107 ft/lb of torque. An optional four cylinder was a 2.3L SOHC 1bbl I4 that made 82hp and 126ft/lb of torque. 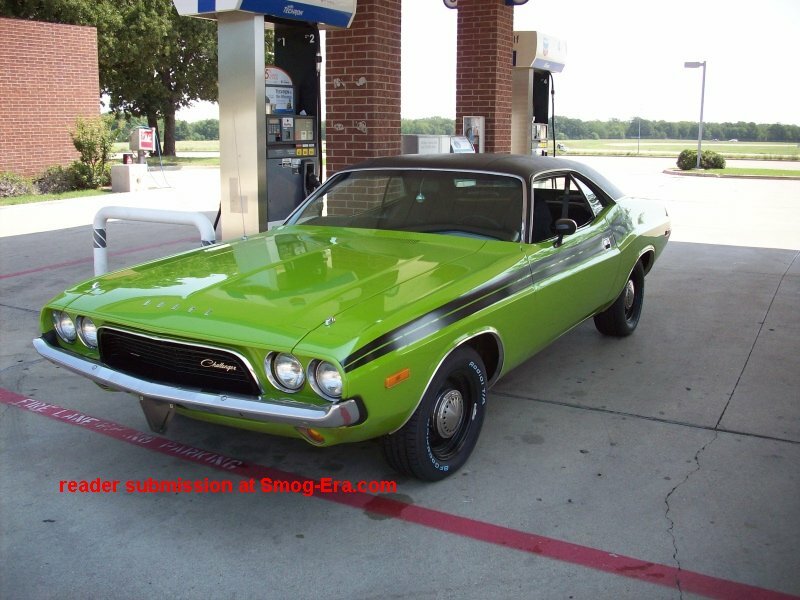 The next step up the option chain was a 2.8L 2bbl V6. It made 115hp and 150ft/lb of torque. The V6 was based on an early Mercury Capri engine design from Ford of Germany. The top engine was a 2.2L Diesel Perkins I4. This one had 59hp and 90ft/lbs of torque. It’s a very rare engine to have in a Ranger. Transmissions were quite varied also. Standard was a 4-speed Toyo-Koygo manual. Next up was a 5-speed Toyo-Koygo manual. 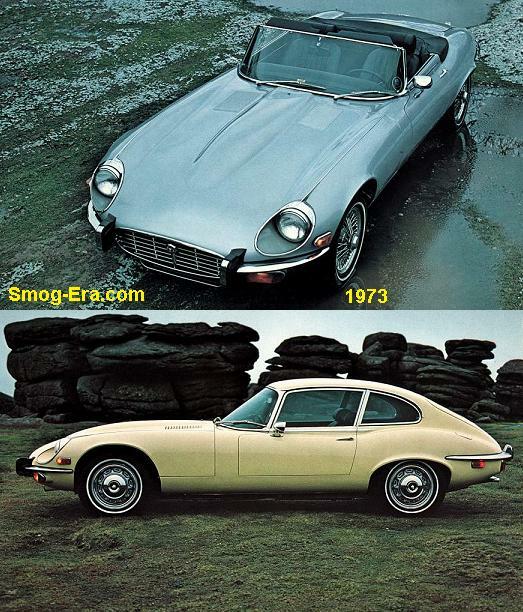 For automatics there were two choices. Two wheel drive trucks got a 3-speed Ford C3, whereas four wheel drive trucks got a 3-speed Ford C5.